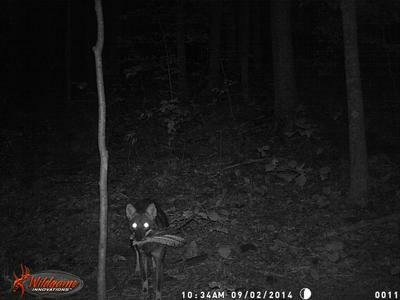 Coyotes, caught in the act! 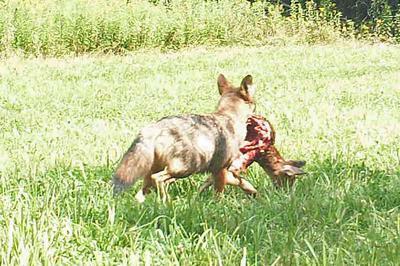 The picture of the coyote with the fawn was taken on August 9, 2014. I thought fawns were pretty safe by then. I guess not.